Since the start of the year, heightening political and geopolitical tension has pushed up levels of volatility, and it is becoming clear that investors are no longer able to rely on the Central Bank "put" coming to the rescue. During May we saw some spectacular moves in Italian government bonds as European political turmoil returned once more. The rumours of a planned bailout request of EUR250 billion by the Five Star Movement and far-right league raised concerns over Italy's commitment to the Euro and of course the Eurozone more widely. This caused a sharp rise in the Italian government bond yields and prices for the debt plummeted as investors panicked and sold these assets in place for US and UK sovereign bonds. This resulted in a one day move of 190 basis points (bps) in the Italian 2-year government paper, the first time there has been a move of over 100 bps in 2 year G7 government bonds since 1982. However the rebound in prices was almost as fast as it became clear that investors had sold on the rumour rather than the fact. The sector that was most impacted by these moves was Financials, particularly Japanese banks which invest heavily in European sovereign debt. 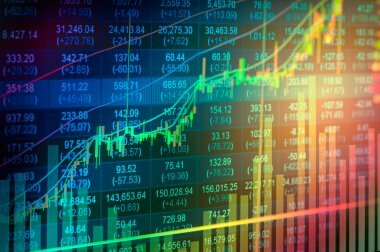 The market quickly moved on as the perceived risk passed and new elections looked to be avoided, but what has stuck in investors' minds is the spike in volatility. Interestingly this quarter we also saw the publication of International Monetary Fund (IMF) data showing Spain's GDP overtake Italy during 2017. The IMF have forecast that Spain will become 7% richer than Italy over the next five years. A decade ago, Italy was 10% richer on the same basis. Elsewhere, Trump's amplification of trade war rhetoric has spooked markets and generated another source of market volatility. What started as China-specific trade tariffs representing a small portion of the overall trade figure has now increased and looks to be incorporating the European Union, Canada and Mexico. According to a poll by Reuters, the majority of economists interviewed thought that the tariffs could do more harm than good and LGT Vestra's research department has been doing work on the potential impact of the US tariffs on inflation, and therefore on businesses. For now we are keeping our exposure to US equities static but we will be watching the situation closely and may opt to reduce the holding if we conclude tariffs are likely to have a net negative effect (over and above the benefit of tax cuts and current levels of economic growth). It is most likely that we will be going down the route of becoming more and more selective over the sectors and companies that we invest into. This quarter Trump also pulled the US out of the nucleur deal with Iran, an act we had been anticipating. This caused the oil price to rise, something we also expected, and as such we had increased exposure to energy in the portfolio via the FTSE 100 tracker ahead of the move. The increase in the oil price may also cause inflation to be pushed higher, but over the medium to long-term we believe the deflationary pressures such as technology will keep a lid on general price rises. Emerging Markets (EM) generally had a difficult quarter impacted by the strengthening US Dollar and corresponding increase in funding costs for those EM nations with high levels of US Dollar debt. Specific political dramas in Argentina, Brazil, Turkey and Indonesia attracted most of the attention from investors and markets in these regions sold off in response. Argentina and Turkey both suffered considerable currency pressure and raised interest rates to attempt to counter this - Argentina from 27.25% to 40% and Turkey by 6%, and Indonesia raised rates for the first time since 2014. Since the start of the year, the spread on Argentine bonds has gone from below 400 to over 600, similar levels to just before Macri's victory in 2015, despite a reformist government currently being in place. Going back to 2009, investing in the Emerging Market region has returned 2% annualised (from July 2009 to June 2018), as the asset class has clearly found it difficult to fully emerge from its cyclical crisis of reliance on US Dollar funding (2013), the commodity sell off (2014-15) and corruption and political scandals (2015). However there is evidence to suggest that this might be a good time to start to seriously consider an increased exposure to Emerging Markets (either through bonds or equities). The significant boost in value that QE has given Developed Market assets over the past nine years is starting to become unwound, which creates a more level playing field. It has been clear that equity investors who replicated the big momentum trades this year have been rewarded for following the crowd. Technology and consumer stocks were the outperformers and have led to US equities being the best performing asset class for both the past quarter and past six months. The US market's global dominance is not only justified on the back of its growth rate and the breath of opportunity but also better protection it provides in a risk sell-off as investors switch allocation from the perceived riskier geographies. We have seen US equity prices increase in value by over 300% since the Global Financial Crisis, as the geography is a clear beneficiary of quantitative easing (QE). The question now is how long will equity prices continue to appreciate, as the Federal Reserve starts to normalise the interest rate cycle. The US economy continues, for now, to expand at a rapid rate with ISM manufacturing readings and construction spending for May coming in stronger than expected. Over the past few years the US equity investors have ridden on the waves of QE and then more recently tax cuts and fiscal boosts. We believe the impact of the tax reform is likely to continue to be felt over the next few quarters, and may provide further stimulus for the US economy to grow more rapidly than previously expected. However we also view the US equity market as reaching the mature end of the market cycle and in response to this, we have switched the allocation across all portfolios out of the passive US large cap fund and into an active large cap US fund. Looking outside of the US, last year the 'goldilocks' scenario of low levels of inflation, loose monetary policy support from central banks and synchronised global economic growth gave huge support to equity markets. This year the environment has to some degree changed, and we have seen a softening of data in Europe and in Japan. The US however continues to grow on the same trajectory. This recent differential in growth rates could go some way to explaining why there has been such a strengthening in the US Dollar this year, in comparison to the weakening of the currency during 2017. The weakening in data in Europe and Japan is likely to be linked to the strengthening of both of those regions' currencies along with an expected cooling off of what was a very strong macroeconomic environment in 2017. The European PMI (Purchasing Managers Index) figure recently peaked at 60 which is viewed by economists as verging on uncontrollable levels of economic growth, so some softening has been welcome from those explosive levels.